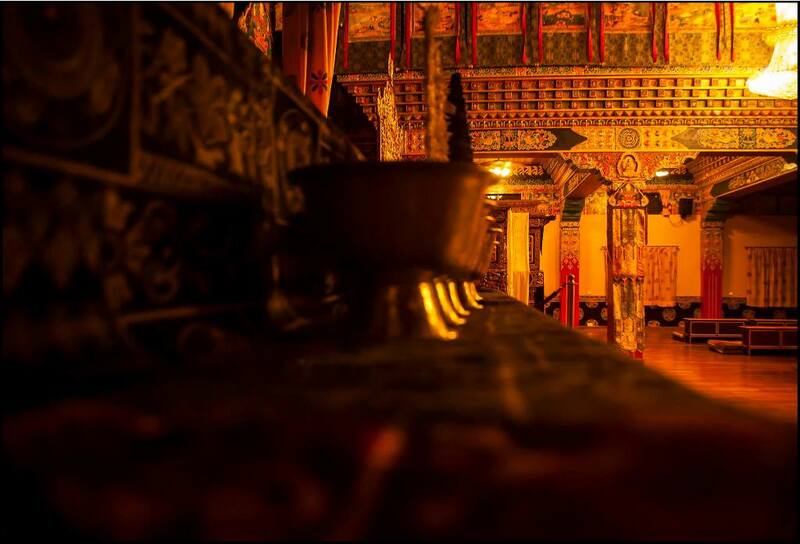 Palpung Sherbling Monastery is 6 km from Bir Paragliding landing area. Route to monastery is through pine forest and Oak forest. Route is metalled and tarr road. Distance to Momastery is 6 km one way with up and downs. trail is considered easy to moderate. One can do whole cycling session in 3-4 hrs considered as half day cycling. Monastery route connect other way to Baijnath which in 6 km from there and route is total down hill. Palpung Sherabling monastery has two parts, old and new one. Both have students study centre for Buddhists. Old has small monks to study and new one for younger monks along with hostel with them. Both the parts of monastery has a prayer hall with 2 storied Budha statue in that. Old monastery has indoor open area to prayer and kids to play in that in bad weather conditions. Monastery has a guest house provide rooms INR 600-1000/- to only those who came here for teaching or preaching purpose to Monastery. New temple built with amazing idols statues in the middle of the forest. Monastery has stupa’s in middle with 108 in number if you count smaller and bigger one. One area in forest is full of prayer flags and near to road. There is a restaurant near monastery named Stupa restaurant and have guest house. Restaurant serves both veg and non veg food.